•	BIMCO 2020 Fuel Transition Clause for Time Charter Parties. “The subcommittee’s objective has been to create clauses that are simple and practical, and I’m confident we’ve achieved that objective,” says Peter Eckhardt, chairperson of the drafting committee and Head of Chartering and Operations at Reederei F. Laeisz. The 2020 Marine Fuel Sulphur Content Clause replaces the BIMCO Fuel Sulphur Content Clause 2005 and can be incorporated into time charter parties as of now. 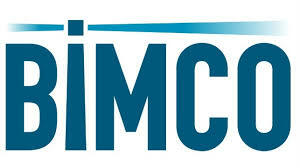 The new clause forms an integral part of BIMCO’s Suite of Standard Bunker Clauses for Time Charter Parties. “By making the 2020 Marine Fuel Sulphur Content Clause part of the Suite of Standard Bunker Clauses, it means that we have been able to keep the revised clause short and simple. It is written as a straightforward compliance provision with the sulphur content requirements of MARPOL Annex VI,” says Grant Hunter, BIMCO head of Contracts & Clauses. Issues relating to the specifications, grades and quality/suitability of the fuel supplied by time charterers are covered by existing standard bunker clauses in time charters, so these should not need to be amended in relation to sulphur content alone. The 2020 Fuel Transition Clause is not part of the Suite of Bunker Clauses as it deals with the one-off event of switching from 3.50% sulphur content fuel to 0.50% sulphur content. The switch is a process that will need to be started before 1 January 2020 and so requires the owners and charterers to cooperate to ensure a smooth transition. The clause is designed to provide a fair allocation of responsibilities and liabilities between the owners and charterers in managing remaining stocks of fuel that will become non-compliant under MARPOL from 1 January 2020. The clause has been specifically designed for time charter parties that will span 1 January 2020. “We would also recommend incorporating the clause into time charter parties with redelivery very close to 1 January 2020 where delays or extensions might result in the ship redelivering after the date the change comes into force,” Hunter says.